I had an opportunity recently to visit with my aunt, Janetta Wells. 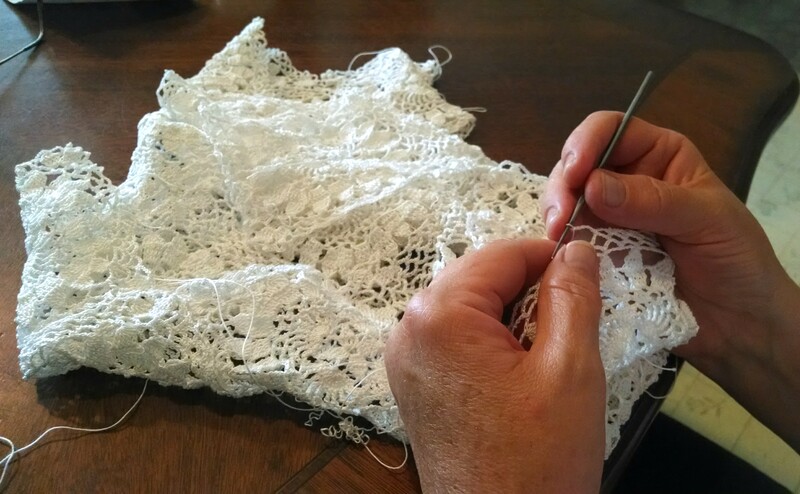 She is a lacemaker from Payson, Utah, and is currently making an altar lace for the new Payson Temple that will be dedicated June 7, 2015. She told me the story of her lace and why it was special to her. 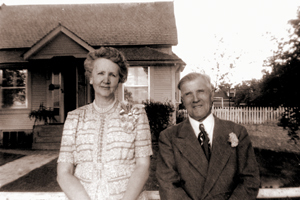 My Aunt Janetta has lived her whole married life in Payson, Utah, in the same modest house, and raised all 12 of her beautiful children there. When she heard the announcement that they were going to build a temple, just down the street from her house, she was thrilled. My mother had seen me making lace for various temples, and knew Janetta had made numerous doilies in her life. She asked, “So Janetta, are you going to make an altar cloth for the Payson Temple?” The thought had never occurred to my aunt, but as soon as the words were said, she knew she would, wanted to, she had to. And, she knew she would use great-grandma Ada’s hook to do it. 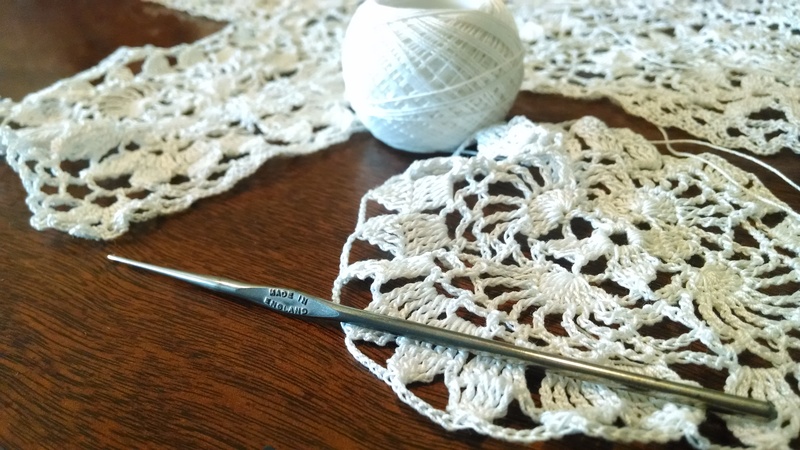 One of the things Aunt Janetta has from her great grandmother, Ada Christensen Almond, is her lace hook. It’s a vintage Hero brand hook, size nine, made in England. We aren’t sure how old the hook is, or where grandma got it, but it was passed down to her after grandma Ada died, and Janetta treasures it. That baby blanket was for me, she died before I knew her, but I still have it. It’s one of the things I treasure from my heritage. In the beautiful white yarn are woven her sparkling silver hairs every so often. It’s a treasure. Grandma Almond lived to the age of 95. 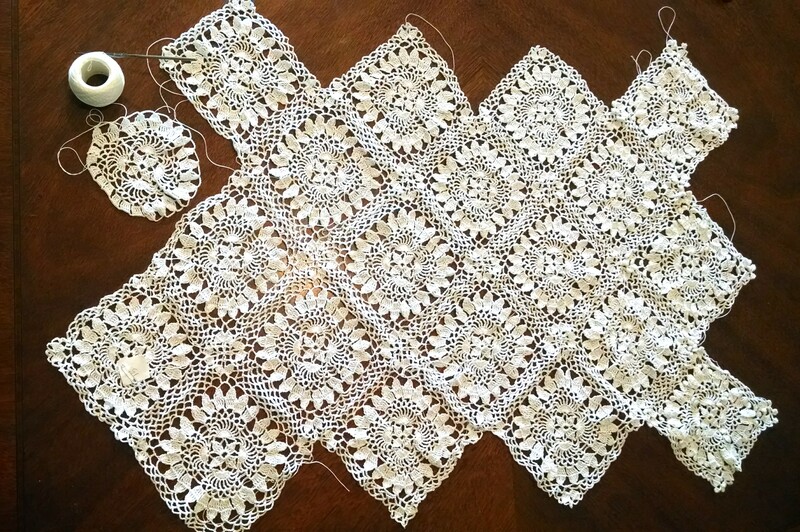 My aunt chose a pattern from my library featuring a design reminiscent of blooming wildflowers, perhaps sunflowers, or four sprigs of the wild Indian Paintbrush of grandma Ada’s youth. It’s a visual pattern from Ondori. 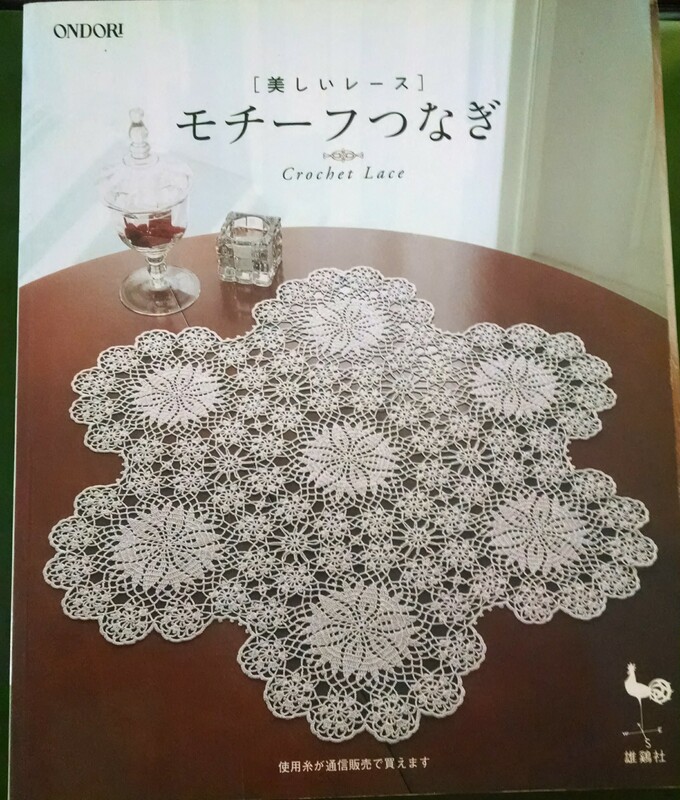 The text is in Japanese, but you don’t need to read Japanese to use it, the crochet symbols on the pattern are universal. We liked it better set on diagonal, so we modified it just a bit. I like the modification. When she adds the edge, it will be a slightly different edge as well. I’m looking forward to seeing the final project. So beautiful! You say that I am growing old; I tell you that’s not so. The house I live in is worn out, this, of course, I know. I’m not surprised that you think it’s getting rather frail. The walls are sort of transparent, and getting kind of thin. The foundation is not as steady as once it used to be. My house is getting shaky, but my house is not me. These few long years can’t make me old; I feel I’m in my youth. Eternity lies just ahead–a life of joy and truth. We’re going to live forever there, as life will go on–it’s grand. You say that I am getting old? You just don’t understand. Just waiting in this little house to last through every day. You only see the outside, which is all that most folks do. But listen, friend, to what I say, and you can understand too. You say that I am growing old? Oh, no, I’m not, you see! Just stop and think about it dear, You’ve mixed my house with me. Very interesting. Thank you so much for sharing. I look forward to the Payson open house and attending that temple someday. I really do appreciate you taking the time to share you story. Good luck on your work. When I was growing up we would visit my grandfather’s cabin nearly every summer in the mountains above Salt Lake City near Brighton. 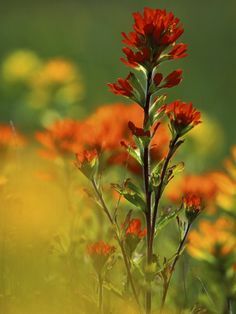 We would hike through the mountains in the breathtaking beauty there where I was introduced to the Indian paintbrush flowers. 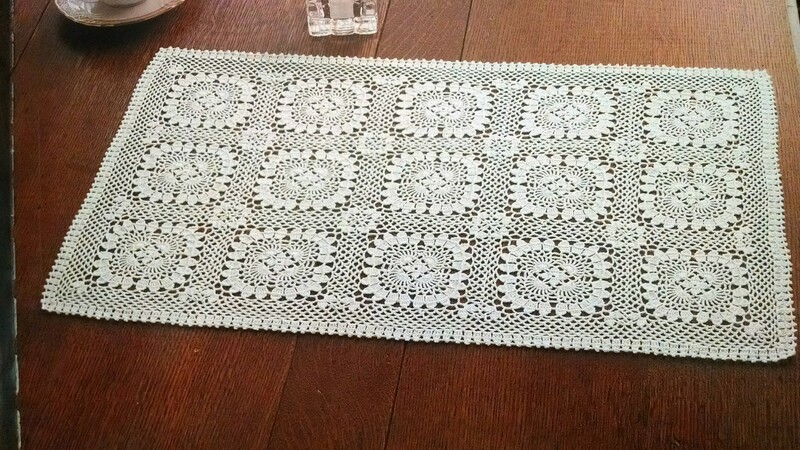 Looking at your Aunt’s lace reminds me of them and of all the summers of my youth. Thank you. I am just amazed at the beauty of these scarves and HOPE I can do it, I want to contribute something handmade to the temple.